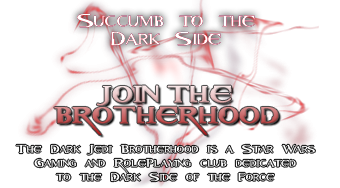 The Dark Jedi Brotherhood is a Star Wars fan club devoted to exploring the mystical nature of the Dark side of the Force. The Brotherhood prides itself on offering a rich environment that far exceeds anything offered by other online clubs. With support for Jedi Academy, The Old Republic, Pazaak and many different games, this club has opportunities for any gamer. For those more interested in immersing themselves in the Star Wars Universe, the Dark Brotherhood also offers a full community involved in fan fiction, poetry, and other roleplaying and character developing activities. 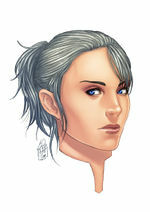 HTML to Wiki Syntax Converter allows you to easily convert HTML tables to wiki markup for use on the DJB Wiki. The Dark Brotherhood is nothing without its Clans, it is presently comprised of seven.